Jews and Magic in Medici Florence: The Secret World of Benedetto Blanis: Just Announced: Flaiano Prize! Jews and Magic in Medici Florence has been awarded the 2012 Ennio Flaiano Prize for Italian Culture - to be presented at the Teatro Gabriele D'Annunzio in Pescara on 8 July! The FLAIANO PRIZE commemorates Ennio Flaiano (1910-72), one of the most influential figures in Twentieth Century Italian culture - novelist, journalist, theater critic and mordant commentator on post-war Roman life. 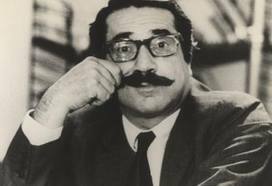 Flaiano is probably best known as Federico Fellini's artistic collaborator, co-writing the screen plays for many legendary films, including La Strada, La Dolce Vita, I Vitelloni and Bocaccio '70 and 8 1/2. 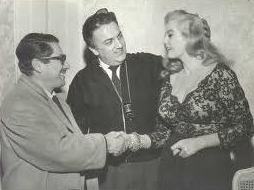 Left to Right: Ennio Flaiano, Federico Fellini, Anita Ekberg. 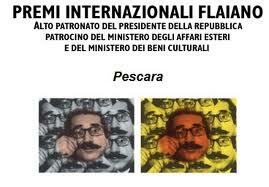 Have you ever asked yourself, "How many degrees of separation between Federico Fellini and Benedetto Blanis?" or "Anita Ekberg and Don Giovanni dei Medici?" Probably not, but now you know! "With his feet firmly planted on the clouds"
(from The Diary of Errors).